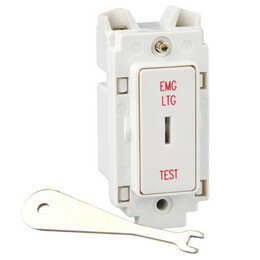 Along with the other components in your emergency systems such fire alarm system detectors, it is important to ensure that you test your emergency lighting. Regularly testing your emergency lighting will bring peace of mind that, in an emergency, your personnel will be able to find a safe escape route free from obstacles and danger. 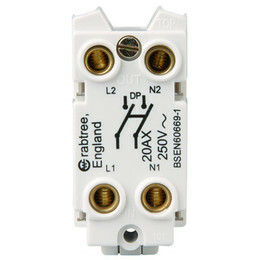 To test your emergency lighting you need to recreate the conditions that would trigger your emergency lighting to activate – namely a mains power failure. 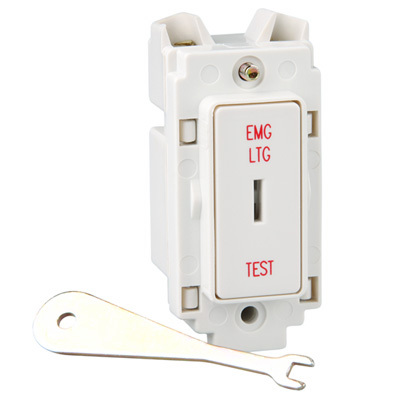 The Crabtree Grid Switch is a key-operated device that can be installed with your emergency lighting and is clearly marked 'EMG LTG TEST'. Wired correctly, a simple turn of the Crabtree emergency lighting test key will interrupt power transmission and force your emergency lighting units to use their reserve power supplies allowing you to observe the emergency lighting system for any faults or areas for improvement.